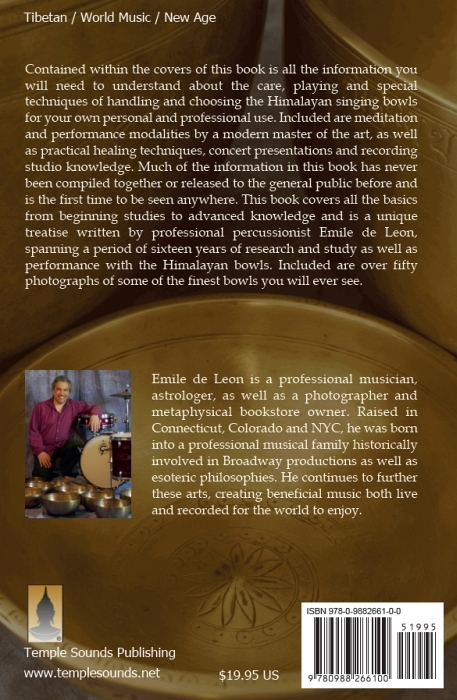 Emile de Leon is a professional musician, astrologer, as well as a photographer and metaphysical bookstore owner. Raised in Connecticut, Colorado and NYC, he was born into a professional musical family historically involved in Broadway productions as well as esoteric philosophies. He continues to further these arts, creating beneficial music both live and recorded for the world to enjoy. Download a quick peek sample of the book. File size: 1.29 mb. Please note that images have been compressed for size. Those looking to find their first bowl to those desiring a complete set. 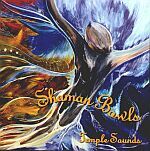 How to discover the right bowl for you whether you are a beginning, individual seeker or professional looking to expand your influence on the world through their use of sound. 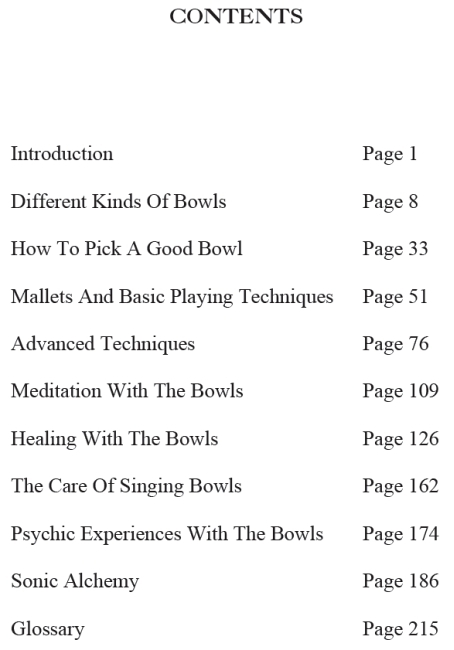 The differences between as well as benefits of both modern produced and antique singing bowls. 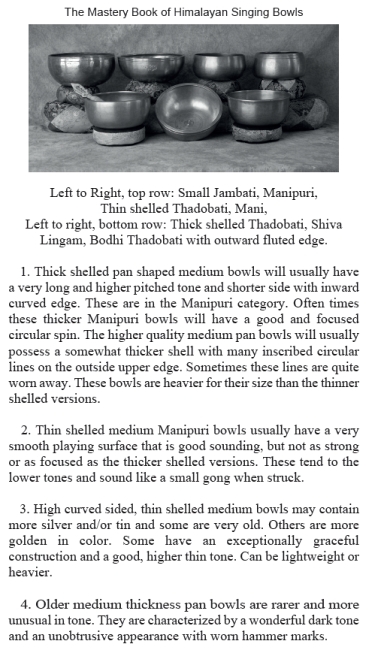 Those wishing to know the sizes, styles and the various types of singing bowls and their individual uses in different situations or needs as required. 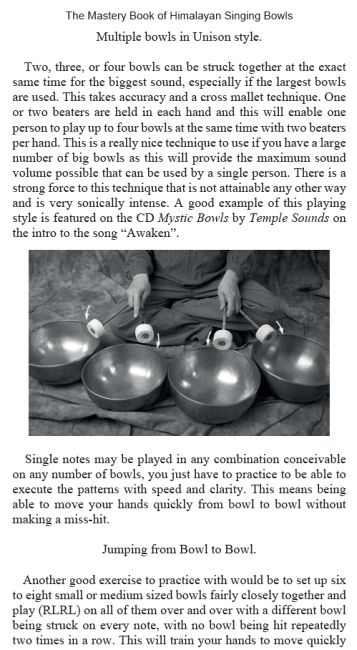 How to hold and play your singing bowl properly--avoid the most common mistakes that lead to damaging your bowl! The proper mallets as well as beaters to use based upon bowl size as well as tones wished to be produced during your playing. Yes, materials do matter! Taking care of your bowl(s). Cleaning both physically and psychically; recognizing as well as the maintenance of ‘injured’ bowls in your collection. Techniques, exercises and step-by-step guides for private and group meditations/playing as well as healers. 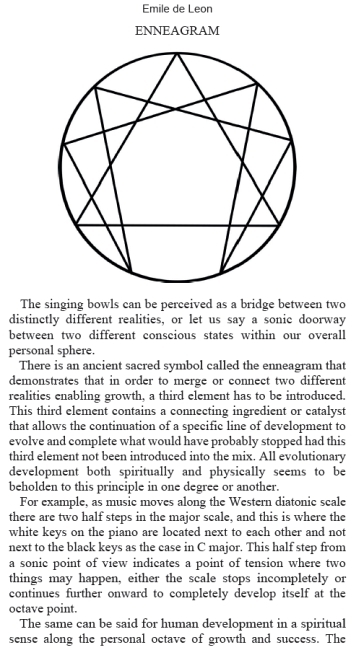 Singing bowl layouts, positioning of bowls, note associations and chakra influencing information for healing is given. 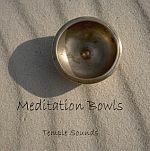 Setups, bowl selections, advice and techniques for those who wish to do group meditations, perform live concerts or work in the recording studio, including microphone types and placements for the latter two. Get expert and experienced advice when it comes to what to look for--as well as be wary of--when it comes to recording your music. Preparation guide to achieve the most in all ways of your session is included. 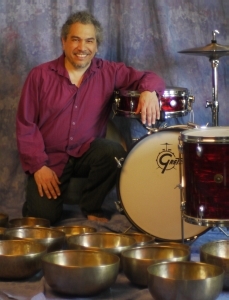 Basic playing methods to advanced percussionist exercises for single and multiple bowls. 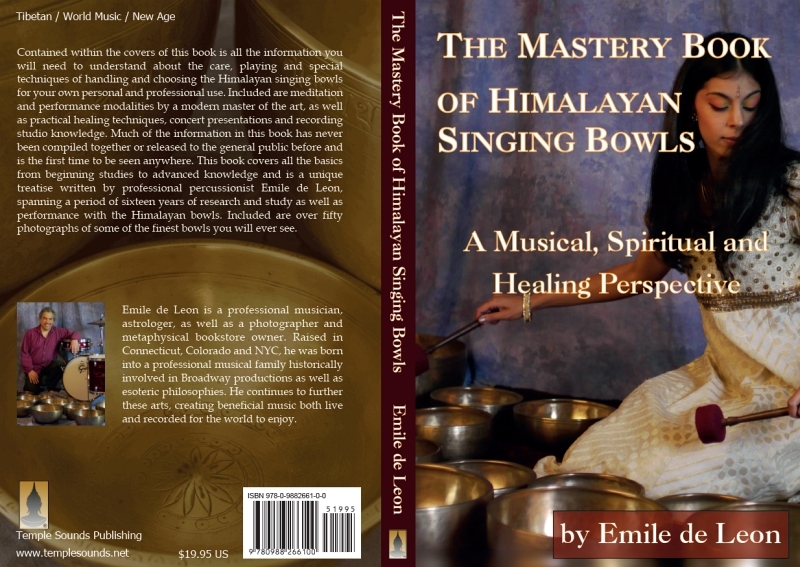 “The Mastery Book” covers simple stroke playing and ‘gonging’, the standards of the singing bowl world, but from there shows you how, if wished, you may use both hands simultaneously. Guided images as well as practice exercises are given from ‘flutters’ to ‘flams’, multiple bowl ‘sweeps’ right on up to Triple Paradiddles, the alterations of tones and notes at speed. At the same time we explain the most basic and useful methods of how to bring dominant the low or higher harmonics, increase or diminish overall sound volume while you are playing. Group playing ‘passing tones’ suggestions as well. 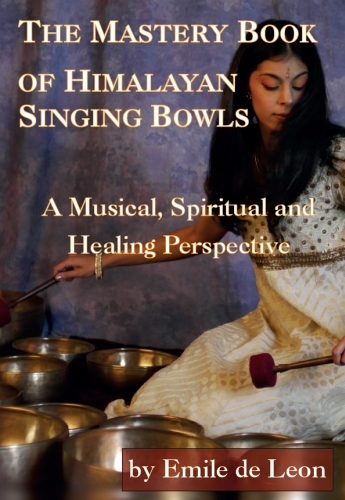 This book gives you the factual information regarding Himalayan singing bowls over feeding the myths. 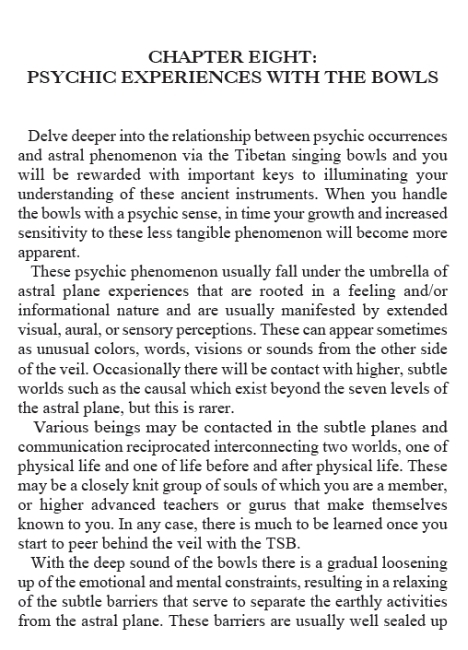 Construction and composition of these hand-crafted (antique version) instruments is discussed as well as the spiritually raising and enlightening effects that may be achieved through all singing bowl use. 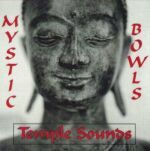 Down to earth physical realities as well as metaphysical experiences, spiritual journeys and channeled information, The Mastery Book of Himalayan Singing Bowls: A Musical, Spiritual and Healing Perspective has it all and much more, so if you are interested in Tibetan singing bowls, this book is your one source guide for it all. More distributors on the way!